Combine practicality with sheer luxury when you decide to drive the new Jaguar F-PACE around Englewood. As far as Jaguar SUVs go, the F-PACE stands out thanks to its sporty nature, spacious and flexible interior, and the latest technology features. 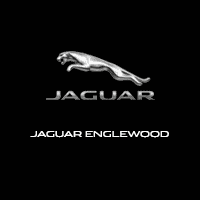 Pick out your favorite model today at Jaguar Englewood, and learn more about what’s trending in the Jaguar world! Ready to drive home to Hoboken in your new F-PACE? Be sure to explore our wide variety of options, including classy black F-PACE SUVs. You can also compare the F-PACE vs. Audi Q5 to check out the competition.